Jean's Paper Jewels: Happy National Popcorn Day! It's National Popcorn Day! There's a day for almost everything these days. With the Stampin' Up! 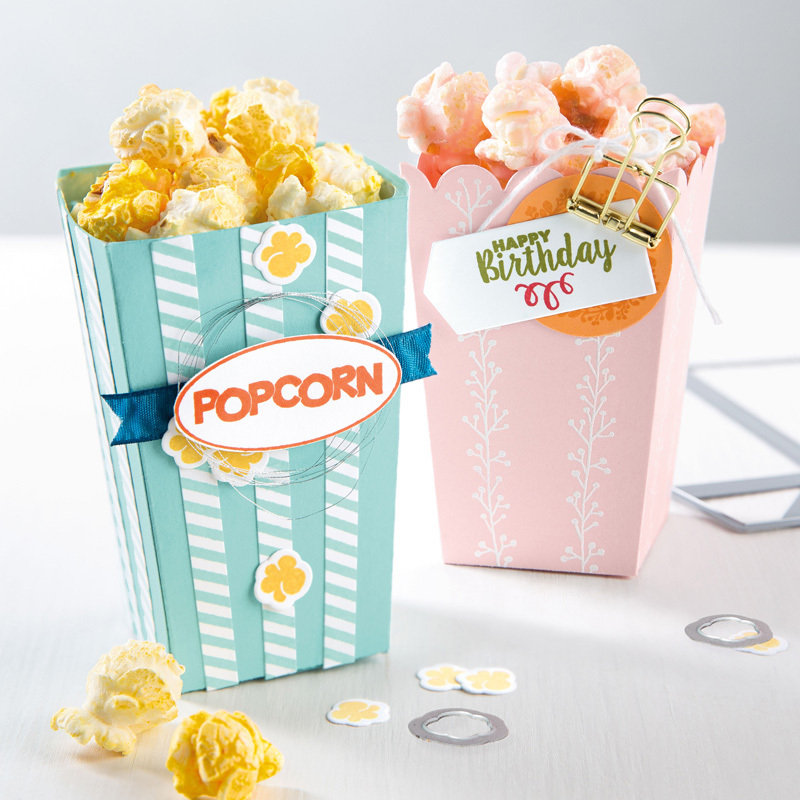 Popcorn Box Die you can cut out the box in record time. Decorate it however you want to, and for any occasion. I made several a few months back. The one above is one of my favorites. How do you like your popcorn? For me, it's butter and salt all the way.